Heritage's range of heated towel rails complement all types of bathrooms beautifully and range from the classically elegant to modern urban chic. 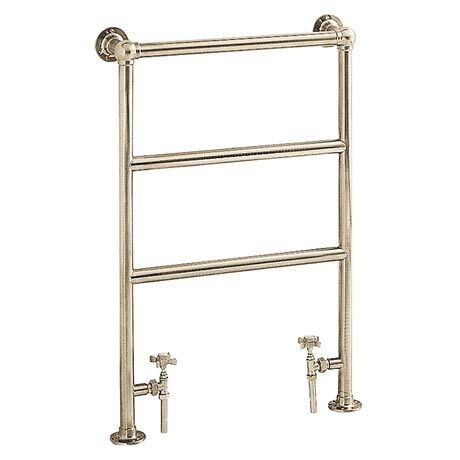 The traditionally styled Portland Heated Towel Rail features a steel constructed frame which is plated in a durable vintage gold finish. This stylish towel rail will add a touch of elegance to any bathroom. Comes supplied with a pair of traditional vintage gold valves. Just what we were looking for and perfect sizes.